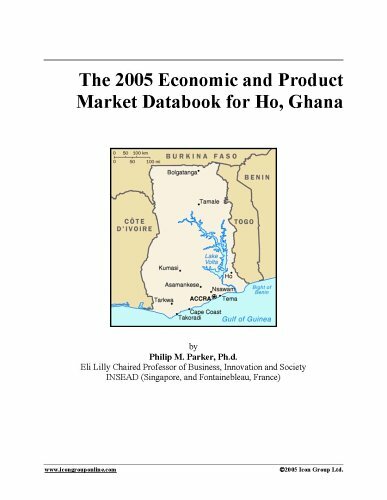 Market Potential Estimation MethodologyOverviewThis study covers the outlook for products and services in Ho. Estimates reported are given for the latent demand, or potential industry earnings (P.I.E. ), for Ho across hundreds of categories (in millions of U.S. dollars) and of the region and of the globe. These comparative benchmarks allow the reader to quickly gauge a Ho vis-a-vis the world. Using econometric models which project fundamental economic dynamics, latent demand estimates are created. This report does not discuss the specific players in the market serving the latent demand, nor specific details at the product level. The study also does not consider short-term cyclicalities that might affect realized sales. The study, therefore, is strategic in nature, taking an aggregate and long-run view, irrespective of the players or products involved.This study does not report actual sales data, but give, however, my estimates for the latent demand, or the P.I.E. for a variety of categories. In order to make these estimates, a multi-stage methodology was employed that is often taught in courses on international strategic planning at graduate schools of business.What is Latent Demand and the P.I.E. ?The concept of latent demand is rather subtle. The term latent typically refers to something that is dormant, not observable or not yet realized. Demand is the notion of an economic quantity that a target population or market requires under different assumptions of price, quality, and distribution, among other factors. Latent demand, therefore, is commonly defined by economists as the industry earnings of a market when that market becomes accessible and attractive to serve by competing firms. It is a measure, therefore, of potential industry earnings (P.I.E.) or total revenues (not profit) if a market is served in an efficient manner. It is typically expressed as the total revenues potentially extracted by firms.